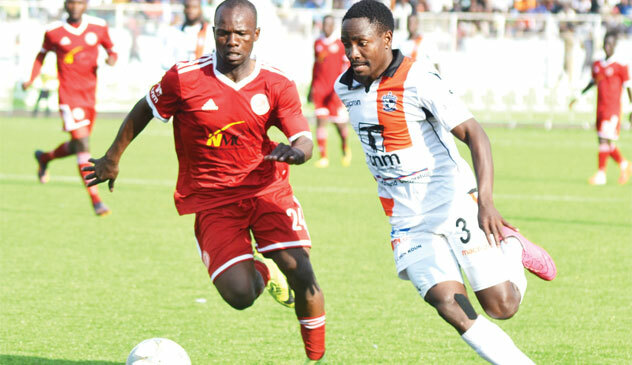 Giants Nyasa Big Bullets, Be Forward Wanderers and Silver Strikers are scheduled to miss TNM Super League action this weekend as they are likely to contribute more than three players each to the Malawi national football team. Malawi regrouped Tuesday ahead of Saturday’s African Nations Championship qualifier in Mbabane, eSwatini. The standard is that clubs which contribute more than three players to the national team are exempted from league fixtures. Bullets have contributed Hassan Kajoke, Chiukepo Msowoya, Yamikani Fodya, Mike Mkwate, Chimwemwe Idana, John Lanjesi, Gomegzani Chirwa, Peter Banda, Rabson Chiyenda, Ernest Kakhobwe and Patrick Phiri whereas Wanderers have Stanley Sanudi, Dennis Chembezi, Peter Cholopi, Alfred Manyozo, Simeon Singa, Zicco Nkanda and Felix Zulu. Silver have Brighton Munthali, Khuda Muyaba and Trevor Kalema after Levison Maganizo pulled out due to injury. The three teams started their league campaigns on a high last weekend as Wanderers beat Mzuni 5-0 whereas Bullets thrashed TN Stars 4-0. Silver collected four points from Karonga after beating Karonga United 3-2 before a goal-less draw against Savenda Chitipa United. Wanderers Team Manager, Steve Madeira, said they would look for a friendly to keep the team in shape. “We have started the season on a high and we would like to keep the momentum. The option is to play a friendly so that we should not lose momentum,” Madeira said. Silver Team Manager, Hellings Mwakasungula, said they did not expect to lose momentum because of inactivity. “We have played two games while other teams have played just one. So we are okay. The break will give our players time to refresh after returning from Karonga,” Mwakasungula said.